Connie Knight grew up in San Antonio, Texas with many childhood visits to her family in the DeWitt County area. 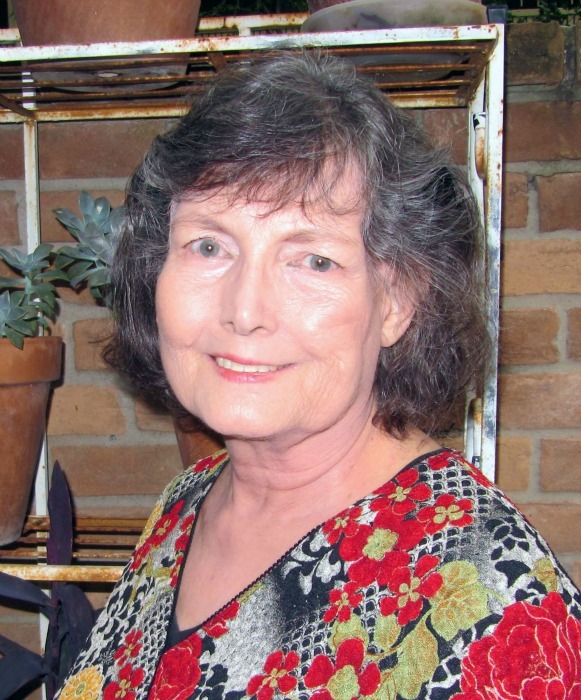 Her writing history includes work as a journalist and magazine editor. She now lives in Houston with her family and visits her cousins in the country. 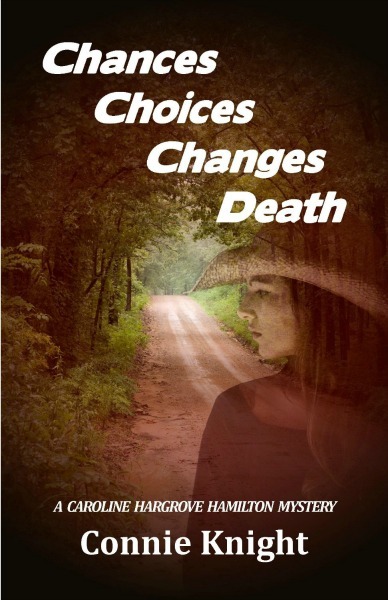 Chances Choices Changes Death follows Cemetery Whites in the Caroline Hargrove Hamilton Mystery series. A cozy mystery, a puzzle to solve, with dips into regional and family history, Cemetery Whites by Connie Knight is set in rural Texas near San Antonio, an area colonized in 1825. The novel's tone is warm, loving, familial, and somewhat humorous--even with two murders, one from 1875 and one from today. Biracial friendships, during slavery and after the Civil War, are discovered in the research of amateur detectives Caroline Hargrove Hamilton and her cousin Janet. The story opens with the murder of history professor Thomas Harrison, a black man from San Antonio. He'd found a ride to the Hargrove Family Cemetery deep in the country. Once there, he took a collapsible shovel from his briefcase and began digging in a patch of Cemetery White irises at the foot of an 1875 grave, rumored to hold a murdered man secretly buried with another one. Then he fell down with a bullet in his heart. Caroline and Janet discovered the body later in the morning when they visited the cemetery. They called the constable's office for help. Constable Bob Bennett met Caroline for the first time, and became romantically interested as the book develops. A family meeting followed a newspaper article about the body in the iris patch. Caroline and Janet became volunteer detectives. Following clues, they uncovered half-a-dozen family secrets related to both murders. There were trips to historical sites in San Antonio, a night at a country bar, and another one at a cockfight, where Caroline looked for the professor's bookie. She'd been told he died at the hands of a gambler's hit man. When the murders were solved, a treasure was found. It answered a historical question no one--except Professor Harrison--knew to ask. Caroline Hargrove Hamilton and her cousin Janet find another puzzle to solve in Connie Knight's cozy mystery, Chances Choices Changes Death. Myra Cade's body is found on the side of a country road, and her son Scott is missing. Caroline hears about it when police officer Bob Bennett calls to let her know. A single mother, Myra Cade lives on big Robinson Ranch with her father, the foreman. Caroline and Janet take Western riding lessons there, and they run into their cousins Donny and Danny, who are working on the ranch for the summer. They're flirting with Cathy Robinson and her friend Chris, home from college. Danny's romance with Chris enrages Myra, who wants to identify him as Scott's father. Indifferent in the past, she now seeks paternal support. Where is Scott, and who murdered his mother? There's more than one possibility. Caroline will find out.